We are stoked to work with the San Jose Earthquakes to help support professional soccer in our area. Look for VIP ticket package giveaways and free ticket vouchers in our San Jose stores. Contests and ticket availability are announced on our Facebook page. Rotten Robbie has been an enthusiastic sponsor of the San Jose Giants for years! 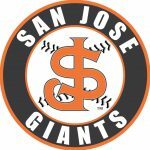 We donate to a local Little League for every home run hit by a San Jose Giants player, we giveaway free tickets at San Jose-area stations throughout the summer, and each year we have a Rotten Robbie night at San Jose Municipal Stadium. Keep an eye out at your local Rotten Robbie station for free San Jose Giants tickets and come join us on Rotten Robbie night! ACCESS, (A Caring Community of Education, Services, and Support), provides support for families of infants born prematurely or with special needs as newborns. Rotten Robbie is proud to help ACCESS reach its mission of supporting families during the crisis of hospitalization, enabling families to spend more time with their loved ones, and to advocate for and respond to their needs. ACCESS is run by the non-profit organization The Auxiliary of Good Samaritan Hospital. Past efforts by the Conservancy contributed to collaboration among government agencies and community interest groups seeking to solve problems related to the Guadalupe River flood control project. The Conservancy is continually involved in completing the master plans for both the park and gardens, creating educational programs, promoting awareness of the Park & Gardens, and developing membership and volunteer opportunities to increase public support and involvement. 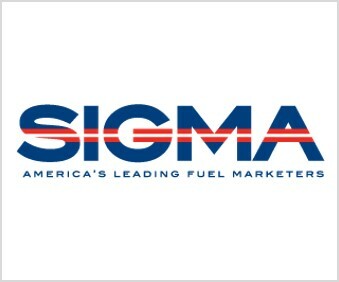 SIGMA is a non-profit, national trade association representing the most successful, progressive, and innovative independent motor fuel marketers and chain retailers in the US. From their position of collective strength, approximately 250 corporate members command 30 percent of the petroleum retail market, selling over 56 billion gallons of motor fuel a year. The National Association of Convenience Stores is an international trade association representing over 2,200 retail and 1,600 supplier company members doing business in nearly 50 countries worldwide, with the majority of members based in the United States. 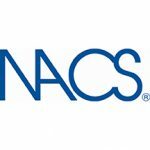 NACS serves the convenience and fuel retailing industry by providing industry knowledge, connections and advocacy to ensure competitive viability. The California Independent Oil Marketers Association represents and protects the interest of marketers and retailers at the State Capitol and with other regulating agencies. Founded in 1952, CIOMA is the industry’s statewide trade association representing the needs of independent wholesale and retail marketers of gasoline, diesel, lubricating oils and other petroleum products. California Trucking Association promotes leadership in the California motor carrier industry, advocates sound transportation policies to all levels of government, and works to maintain a safe, environmentally responsible and efficient California transportation goods movement system.